The 8th annual O, Miami Poetry Festival begins on April 1 and ends on April 30, 2019. The goal of the festival is for every single person in Miami-Dade County to encounter a poem. Room of One’s Own: A Teen Tiny Poetry Residency @ The Wolfsonian FIU. On select mornings in April, the bridge tender house in front of The Wolfsonian–FIU will be transformed into a tiny writing hut for one. 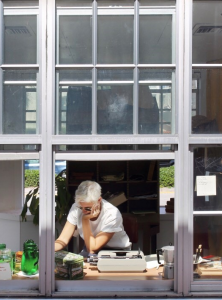 A small structure surrounded by glass windows, the bridge tender house provides a unique opportunity for poets to work alone while also engaging with the life of the city around them. Opening a window, posting working poems on the wall, or even venturing into the street are chances for poets to connect with the public for an exchange of ideas and inspiration. As a capstone to the project, the poets in residents will read their poems on Fri., April 26 @ The Wolfsonian. 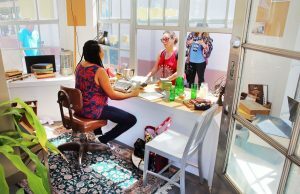 Room of One’s Own: A Teeny Tiny Poetry Residency: A mini-residency for poets inside The Wolfsonian’s Bridgetender House @ The Wolfsonian FIU. See details above! 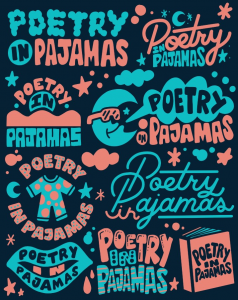 Poetry in Pajamas: Kids reading poems in their PJs @ Miami Beach Botanical Garden: Hosted by Miami Beach 10 year old Sam & and 7 year old Simon at the enchanted Miami Beach Botanical Garden is Poetry in Pajamas, an open mic for children of all ages to recite poetry in their pajamas! The Beach is a Border Walk @ Lummus Park: The coast is an area of conflict and struggle, which O, Miami will transform into a poetic space and reflection. 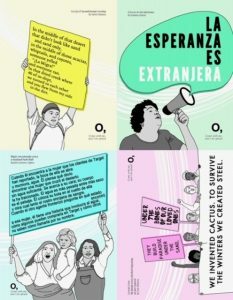 This project aims to make visible the injustice of anti-migratory measures through a poetic activity. The action is located on the shore of the beach, when participants will walk the Miami Beach sands wearing O, Miami poetry flip flops leaving imprints of poetry. Featuring excerpts by Jose Olivarez, Natalie Scenters-Zapico, Fabienne Josaphat and Javier Zamora. Irish Poetry @ The Betsy B Bar: Paul Perry, John McAuliffe, and Aifric Mac Aodha, a partnership with Poetry Ireland. Room of One’s Own: A Teeny Tiny Poetry Residency: A mini-residency for poets inside the Wolfsonian’s Bridgetender House @ The Wolfsonian FIU. Poets in residence will read their poems as a capstone to the project. “Poetry Parking Tickets” are made to look like Miami-Dade County parking tickets, but instead of a citation, each ticket contains a poem. 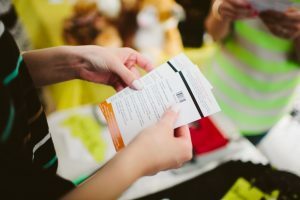 Project creator Christina Frigo wants to turn the experience of getting ticketed into a positive one, so she chooses poems, designs and prints the parking tickets, and distributes them on windshields across Miami. Frigo first did this project in 2013 and has chosen a new set of poems for 2019. Poetry Parking Tickets will be distributed in various locations in Miami throughout April. Tickets will also be available at select O, Miami events—take one and ticket a friend! If you find one in the wild, post on social media with #omiami and #poetryparkingticket. Join us for the City of Miami Beach’s monthly Wednesday Cultural Crawl!